Back-to-back Basketball Champions League Gamedays with Opava on the wrong side of a new tournament record. 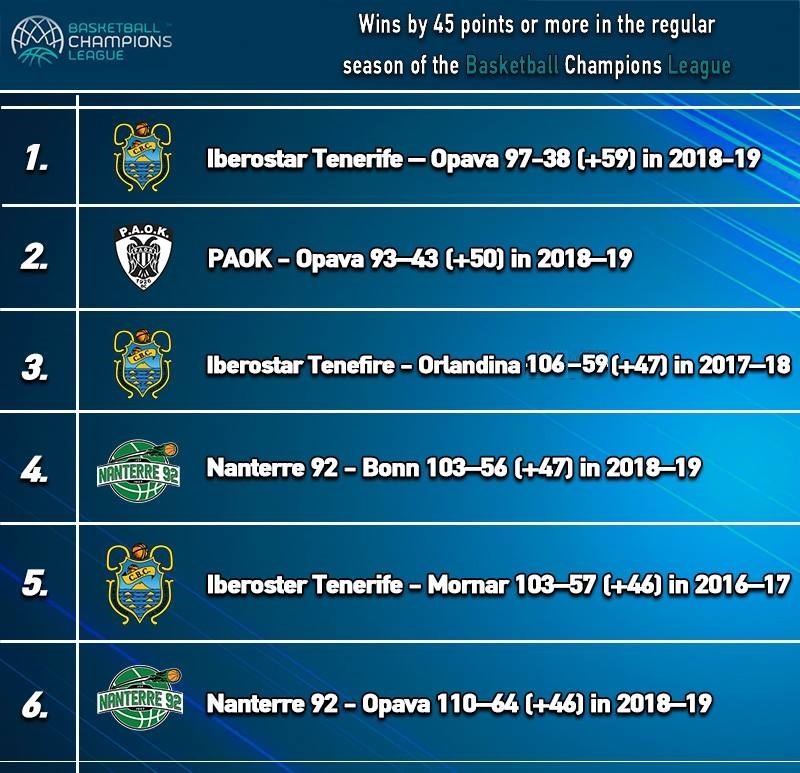 Walking in a familiar path, Iberostar Tenerife set the biggest Basketball Champions League record by crushing Opava 97-38 during Regular Season Round 13. The previous high was created just one week earlier by PAOK who scored a 93-43 victory over the Czechs. Not the best possible showings by Petr Czydek’s players. However, Opava also suffered the sixth biggest loss in BCL history, earlier in the 2018-19 campaign, when Nanterre 92 got its revenge for the Gameday 1 loss to the Czechs with a 110-64 victory in France. Nanterre and Tenerife were the prosecutors of the rest of the Top 6 win margins. The French took their spot beating Telekom Baskets Bonn, 103-56, this year. Pascal Donnadieu’s side actually tied the record set by the Spaniards when they overtook Orlandina, 106-59, on the road during the 2017-18 season. 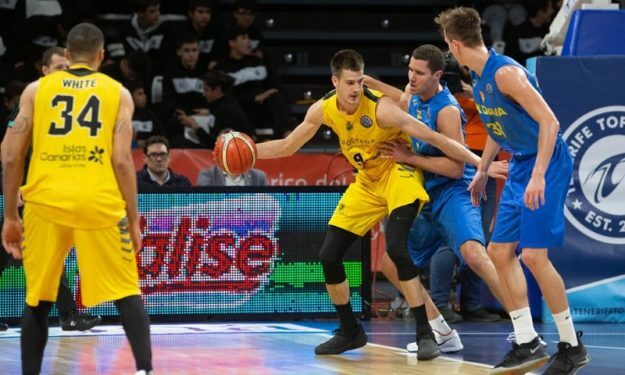 Canarias set the original record in 2016-17 with the 103-57 victory against Mornar.